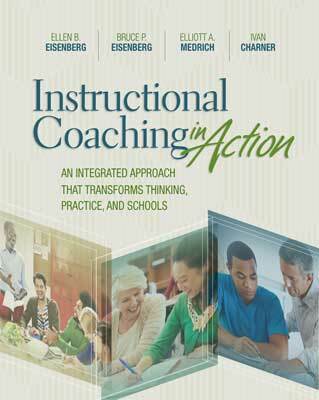 Bruce P. Eisenberg is the associate director of the Pennsylvania Institute for Instructional Coaching (PIIC). His career has spanned 47 years in public education. He spent the first 32 years teaching mathematics in a public high school where he designed and implemented curriculum for academically, musically, and artistically talented students. Following his teaching career, Eisenberg was a consultant to the Johns Hopkins University's Talent Development High School model, where his major focus was facilitating the restructuring of low-performing high schools around the United States. From 2006 to 2009, he was a consultant with the Pennsylvania High School Coaching Initiative, a partnership between the Annenberg Foundation and the Pennsylvania Department of Education. His major focus was outreach and advocacy to local, state, and federal elected officials in the legislative and executive branches of government sharing data about student achievement and job-embedded teacher professional development. Bruce became the associate director of PIIC in 2009. He continues in his role of advocacy and outreach as well as in the implementation of the PIIC instructional coaching and mentoring model throughout Pennsylvania and other states. Eschewing "fix-it" intervention in favor of respectful professionalism, this book’s educator-centered instructional coaching (ECIC) model offers a breakthrough approach to help good teachers become great.